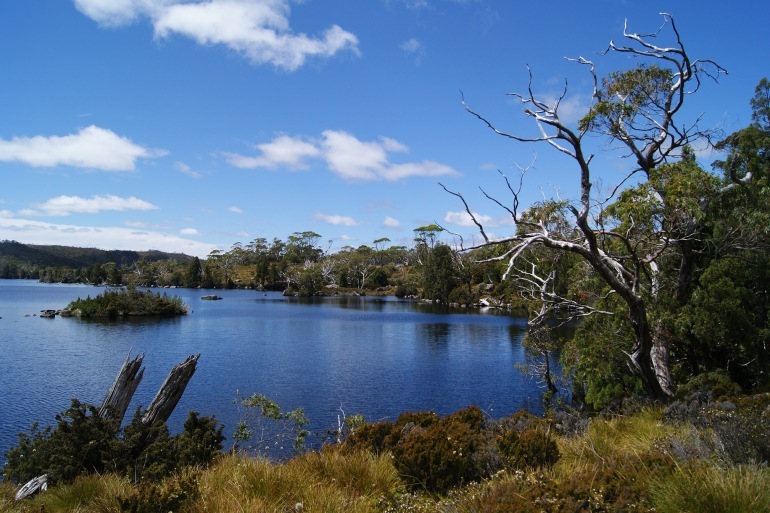 Explore Tasmania - a land lush with vibrant natural beauty and exotic wildlife. Visit the alpine region of Lake St. Clair, explore the glacial peaks and lakes at Cradle Mountain, and wander the cliff top trails at Freycinet National Park. Cruise along the Gordon River to view White-bellied Sea Eagles and curious dolphins, and meet indigenous animals at Bonorong Wildlife Park, including wombats, wallabies and the iconic Tasmanian devil. Uncover the island history with visits to colonial homesteads, Coal River Valley vineyards, and the convict settlement at Sarah Island and Port Arthur. This journey through idyllic settings of spectacular diverse scenery and unspoiled wilderness will surely energize your outdoor spirit. Upon arrival you will begin your journey into the heart of Tasmania’s wilderness. Stop in Derwent Bridge to view “The Wall,” a unique 325-foot long wall of wooden relief sculpture depicting Tasmania’s history. Enjoy fresh alpine air at Lake St. Clair, Australia’s deepest lake, and a walk along the Franklin River and the stunning Nelson Waterfalls, before reaching picturesque Strahan on Tasmania’s west coast. Start Day 2 with a cruise on the Gordon River, traversing through Hell’s Gates into pristine ancient wilderness. Stop at Heritage Landing for a walk among ancient temperate rainforest trees, and explore Sarah Island, site of Tasmania’s most remote and notorious convict settlement. After a buffet lunch on board, disembark and drive into Tasmania’s high alpine region and impressive Cradle Mountain National Park. On Day 3, explore glacial Dove Lake, and observe the park’s diverse alpine terrain and birdlife. Visit the Cradle Mountain Wilderness Gallery, home to an international collection of dramatic nature photography. On Day 4, tour through rolling hills and historic midlands to Freycinet National Park. On Day 5, enjoy guided walks though the park’s coastal coves and cliff-tops trails. Discover unique flora and fauna, including Australian gannets, dolphins, possums, wallabies, and wombats. On Day 6, drive beside cliff tops and pastures to the Port Arthur Historic Site. Enjoy a personalized tour of this old penal settlement. On Day 7, take a private tour of Bonorong Wildlife Park, where you meet Tasmania’s iconic animals, including wombats, wallabies, and the Tasmanian Devil. In the Coal River Valley sample some award-winning wines, and visit charming Richmond, a historic village of colonial sandstone architecture. End your tour at the Hobart airport. Strahan Village is a quaint and picturesque Tasmanian West Coast fishing village, providing a variety of unique accommodations. It is the perfect base for exploring Tasmania's wilderness, with Gordon River Cruises and the West Coast Wilderness Railway right at your doorstep. Watch birds swirling above the waters of Macquarie Harbor, sip fine Tasmanian wine as you watch the sunset from your private deck, then try some of the regions finest cuisine at the View 42° Restaurant & Bar. There are 141 deluxe rooms designed to complement the seaside atmosphere. Travcoa has reserved the spacious and luxuriously appointed Hilltop Harbor View rooms. Room features include cable TV, internet access, coffee/tea maker, fridge, iron, ironing board and a hairdryer. The Cradle Mountain Lodge is located at the entrance of Tasmanias spectacular Cradle Mountain-Lake St. Clair National Park. It offers breathtaking scenery in a serene wilderness setting, with a plethora of nature activities. Around the lodge are more than 20 walking trails  enabling you to wander through towering forests with trees older than mankind, and to discover animal and plant varieties found nowhere else on earth. A variety of casual to formal dining options are available  make sure to sample the delectable local Tasmanian cheeses and wines. The lodges 86 private timber cabins are set discreetly in the wilderness, are. Your Spa Suite is styled with hand-made Tasmanian wood furnishings and feature king-sized beds piled with feather pillows and soft goose-down duvets. Of course a log fire and a deep spa are part of the attraction. You will also be Guests are treated to complimentary fire-side port and each evening a different selection of gourmet surprises arrives to delight your senses - a selection of canapés or a cheese and fruit platter. Your suite is complete with fireplace, spacious bathroom, coffee/tea maker, and a private verandah with a view through the treetops. Freycinet Lodge offers four-star accommodation within Freycinet National Park on Tasmanias east coast. The Lodge overlooks Great Oyster Bay at the foot of pink granite peaks of the Hazard mountain range. To protect the delicate environment, the 60 timber cabins, hidden in the casaurina and tea tree forest, are linked by raised boardwalks. Staying here gives you the rare privilege of staying inside a national park - the focus here is on the landscape, so there are no televisions or telephones in the cabins. The Lodge offers two dining options: The Bay à la carte restaurant and Richardsons Bistro, serving cafe-style food. Both offer the finest regional food and wine. Your Wineglass Premier Cabin is the top-of-the-range, with a spacious open-plan, and a private balcony. Amenities include a minibar, coffee/tea maker, double-spa bathtub, separate shower and a hairdryer. Henry Jones Art Hotel on Hobart's waterfront, combines 19th century sandstone warehouse with stylish modern design. The site, a jam factory dating back to 1804, has been transformed into a first class hotel and is Australia's first dedicated art hotel. Furnished with more than 300 artworks in a continuously changing exhibition, the hotel is a fusion of art, heritage, tradition and nature. There is a restaurant, a bar/lounge, and a coffee shop/café, as well as a fitness area and laundry facilities. The restaurants and bars highlight the best of Tasmania's fine food and beverage produce for a truly unique experience. The hotel houses 56 rooms and suites, all uniquely different and furnished with the hotel's history and contemporary art as the forefront of each space. Your Deluxe Spa Harbor View room overlooks Hobart harbor, framed by the cityscape and Mount Wellington. The room features original walls of stone and timber trusses, columns and beams that soar upwards to just beneath the roofline. Room amenities include a flat screen TV, high-speed internet access, and a minibar.